Since Eugène-Aimé Salon created Champagne’s first ever Blanc de Blancs in 1905 (originally for his own personal consumption! ), there have been extremely limited vintage releases of this incredible cuvée. Eugène-Aime’s successors have diligently maintained his ruthless commitment to only producing Salon in exceptional years and the latest release, Salon Le Mesnil Blanc de Blancs 2006, represents just the 40th vintage expression in history. Launched in London last month by the charming Didier Depond, President of Champagne Salon, the House are very proud of Le Mesnil 2006. Describing it as “Salon at its most romantic”, their pride was reflected in the pageantry of the launch event – a decadent four-course meal with five champagne accompaniments at the impressive Six Storeys in Soho Square. Whilst generally summarised as a relatively warm and dry year, the 2006 season was much more complex in reality. After a dull and uneventful winter and spring, June and July brought much-needed sunshine with fine conditions for flowering. With this came fears of the heatwave challenges of 2003 returning. Indeed, the heat triggered a series of hailstorms, though fortunately Salon’s vineyards were spared. However, August then arrived to plummeting temperatures and unrelenting cold and rainy conditions. Were it not for glorious sunshine in September, the grapes may never have ripened to the perfect maturity levels that they eventually did. A challenging vintage no doubt, 2006 is acknowledged for its richness and balanced acidity but is typically less pronounced than cooler years. Although a complicated year, yields in 2006 were neither too little nor too much: 53,000 bottles of Salon 2006 were produced, an average rate for this singular prestige cuvée. 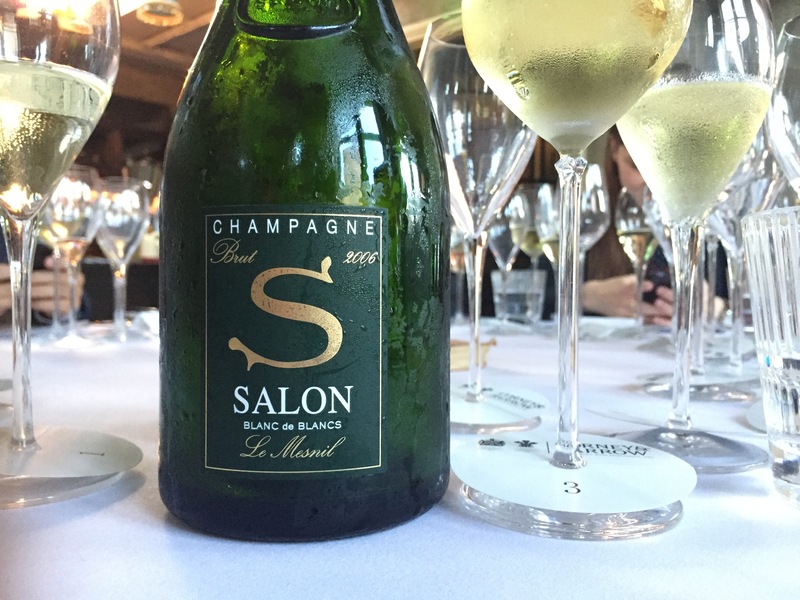 After eleven years ageing on the lees in the cellars of Le Mesnil-sur-Oger, Salon 2006 is a testament to the vintage. 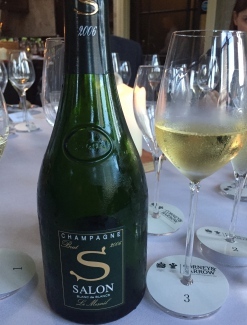 Surprisingly expressive for such a young champagne, it nevertheless has all the hallmarks of Salon’s inimitable style: impossibly fine, a fruit-forward palate and linear acidity permitting cellaring of up to thirty years. The dosage in Salon 2006 is lower than previous years: just 4 g/l, a sign of the acidity of the vintage. Didier informed us that the blend is an assemblage of eighteen parcels, carefully selected for their position on the mid-slope where the vines are protected from frost – attention to detail characteristic of Salon. Talking of the future, we were told to expect Salon 2007 to be released in two waves: in 2018 and 2019, owing largely to the significantly higher yield. Then the magnificent 2008, of which Didier said in 2014: “Because 2008 is huge in quality, but very small in quantity, we decided to make only magnums”, will not be seen until around 2020. Interestingly, the next vintage to follow 2008 will be the outstanding 2012, a year that is already being lauded as one of the greatest ever. Read ours and the critics’ tasting notes below. 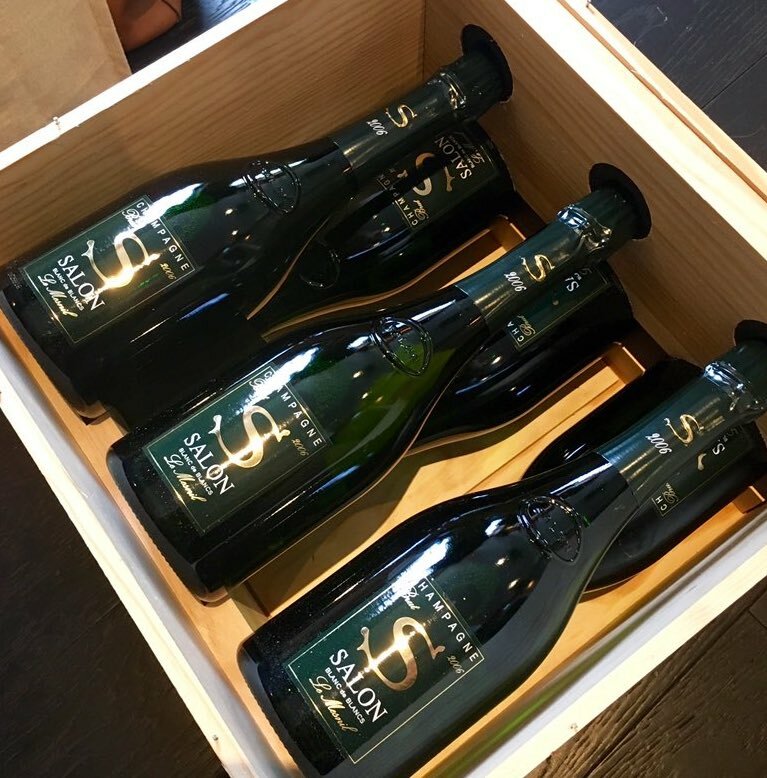 Salon Le Mesnil Blanc de Blancs 2006 will be available to purchase and sample for yourself from October 2017. A golden, fine stream of bubbles. Very lively, indicative of its youth. Surprisingly supple and expressive for a young Salon, the signature scents of white flower on the nose open to a mouth-feel of citrus fruits with hints of melon. Good ripeness and sugar levels lend this a very precise palate. Slightly honeyed finish. Well-balanced and with high acidity, this is certain to age well. Another masterpiece from the unique House.